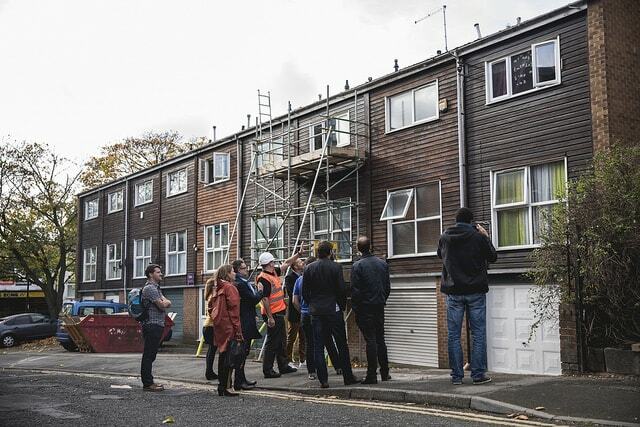 Nottingham City Homes is the first housing association in the UK that realised ten net zero retrofits using the Energiesprong approach. The ten house pilot project is in contract with Melius Homes and designed by Studio Partington. These first 10 are demonstrators and up to 400 more are planned. 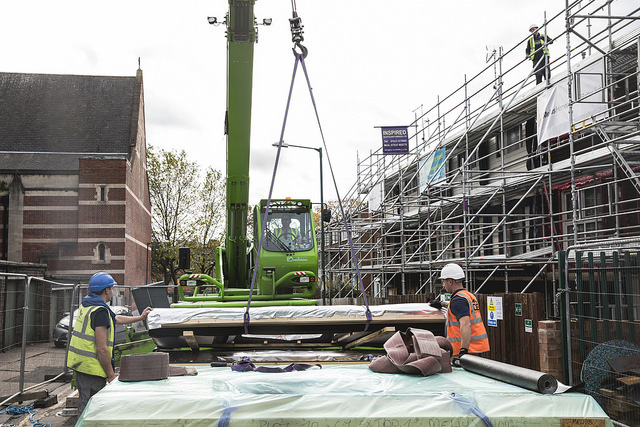 Nottingham City Homes and Nottingham City Council procured Melius Homes Ltd to deliver up to 400. They are currently awaiting agreement for grant funding which will support the delivery to 213 more homes. The demonstrators are in Sneinton, on the edge of a City Centre regeneration area. The homes are big, in a great location and have a great community. But they are freezing cold. 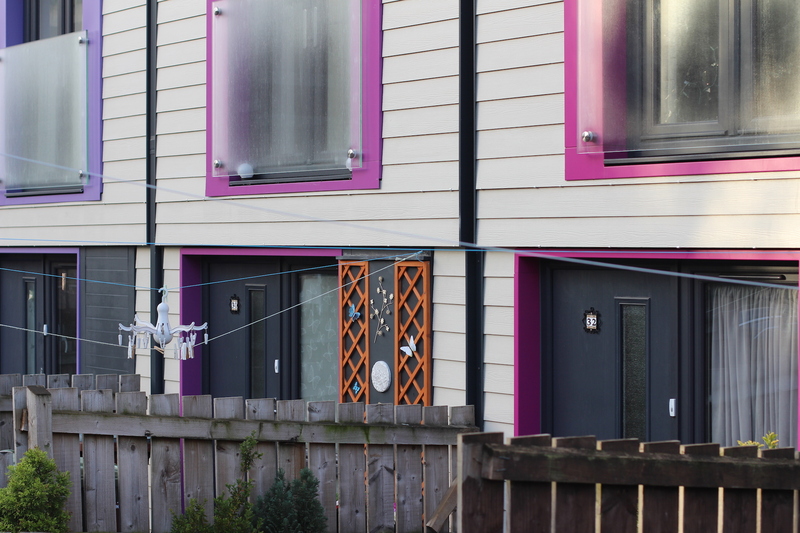 Before the retrofit tenants complained that their curtains moved even when the windows were closed, and that the external walls felt as though they moved when they leant on them! The bungalows sit almost below the houses, which have an undercroft area to walk beneath. The design of the houses is very inefficient, with an unheated garage space under the living room, and the undercroft below the kitchen. This made both main living rooms particularly cold. The houses are long and narrow with internal stair cases, and therefore have very minimal natural light in the main stair. After the retrofit the indoor climate of the demonstrators is comfortable and a light tube brings in light. The Energiesprong solution was procured based on a fixed price, evaluating instead the whole life cost and the design quality. 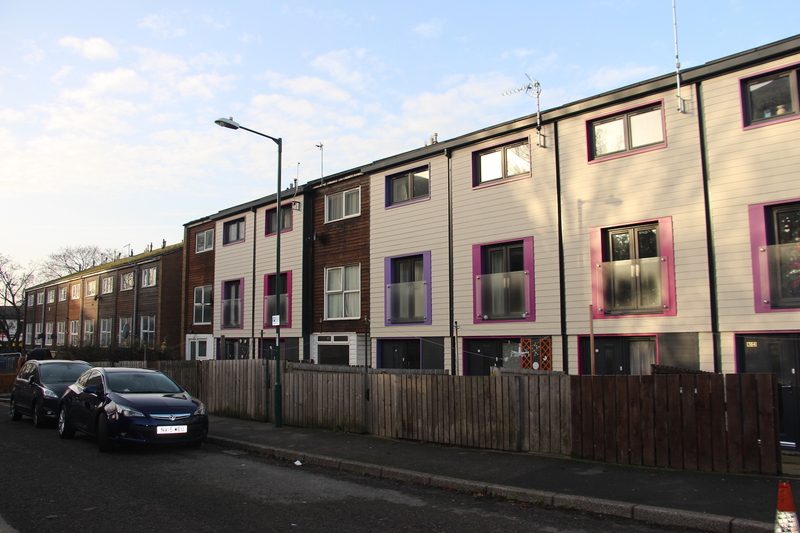 The tenants were involved in developing the design brief, which means that the solution provider was able to include small additional items which made a big difference to the tenants’ lives, such as the light tubes making stairs brighter and outside taps for watering plants.